Deontae North, Bryce Canda, Holland Woods…the big three. Best trio ever assembled on a basketball court if you ask me. By the way, North, Woods, and Canda (basically Canada) is such a fitting group of names. Oh, you don’t know who I’m talking about, do you? 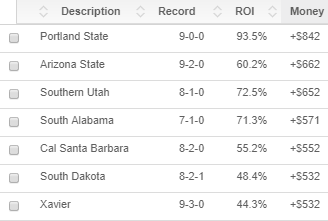 You must live under a rock because I’m referring to the stars of the Portland State Vikings—the best team against the spread in the nation. At 9-0 ATS, the Vikings are the undisputed cover kings of the country. Oddly enough, of the nine games they have played with lines, they have been dogs in eight—winning five of them straight up. Just call them Rodney Dangerfield because they get no respect from oddsmakers. Tonight, they’re pooches once more and the line movement suggests that their ATS streak will come to an end. Though bets are essentially split tonight in California, the big bucks are coming in on the Golden Bears. We’ve also tracked both a steam and reverse line move on California. 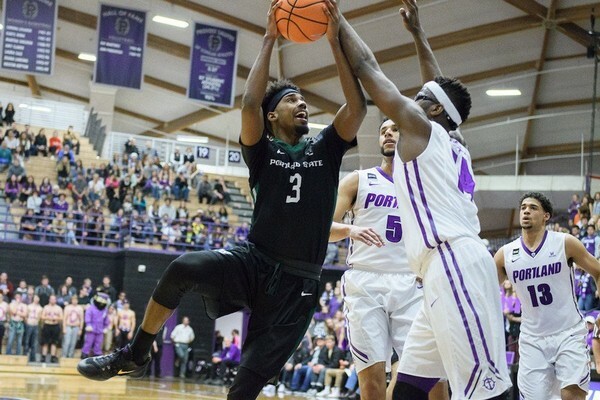 As a result, Portland State has gone from +3.5 to +7 since opening. Though the game doesn’t begin until 11 PM eastern, it is the third most heavily bet of the 33-game slate. Will their streak come to an end or will this inflated line give them a chance at a 10th-straight cover? For the latest lines and percentages, check our free NCAAB odds page. NCAA Tournament Futures: Is Duke a Smart Bet After Pounding Kentucky?